Christians love to analyze ourselves. Why people are leaving the church, why people are staying in the church, what we are doing wrong, etc., etc. Most of what we on the north side of the 45th parallel base our “informed” opinions on are statistics and story from the south side of that same parallel. We quote American stats and Pastors. And while some Pastors are very quotable, it was wonderful to read about things worth sharing in the Canadian Church. Shifting Sands, this collection of stories published by World Vision, lets 40 churches from all the provinces and territories tell you how they are the Body of Christ in this nation. They represent 25 denominations (who knew? ), from backgrounds and cultural heritages as varied as our country is, and in congregations that have 15 – 3500+ in attendance on an average Sunday. Each church shares is passion for the ministry God has called them to do. I love how they have found their unique niche in their community. And so it should be – no ministry setting is like another, and no ministering body should be a cookie cutter formula. People bring their own dynamic, and when that combines – beautiful things happen. Patricia Paddey and Karen Stiller have brought a collection of inspiration to us. May God use this tome to challenge us to find our niche in our community – and to go and serve the needs of our own corner of The Kingdom. This should be mandatory reading for every leadership team serving any ministry in our country. It will surely spark discussion, and hopefully drive vision as The Church seeks to bring Jesus to this fine country God has entrusted us with. Thank you to Nuts About Books, and World Vision and Graf Martin Communications for providing this review copy. As an independent reviewer, I am free to provide my honest opinion of this material. Lisa Grant has had enough of life in Chicago as a homicide detective, and has traded it in to become the chief of police in a lovely small town. 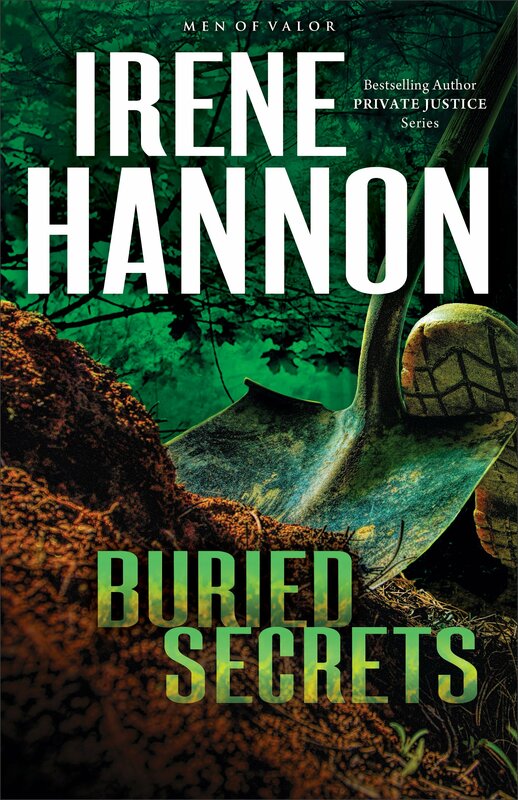 She is content with the routine policing until a construction crew discovers a skeleton at a site they are working on. As it is discovered there is more to this burial than first meets the eye, Lisa’s routine policing takes on a very different tone. Enter ex-Navy SEAL, Mac McGregor a detective sent to help unravel the case. He also manages to unravel Lisa a little. As they work together, it is predictably soon that both begin to think about each other as more than colleagues. As we learn of the events that brought about the demise of our victim, see the lengths the killer will go to in order to not have the truth revealed – it reminded me of other mysteries where one controlling person can manipulate situations to their favour at any costs. The story itself is engaging, although I was reminded why I don’t read “romance” genre books. I find them too predictable. Thankfully this book was categorized Romance Suspense, and the suspense piece of the writing made up for the very predictable budding romance. I never fail to be surprised at the varying levels of Faith that can be included in a book to have it be part of the Christian Publishing World. Yes, the main characters both are God centred in their lifestyles, nowhere in the writing would a person who is looking to grow in, or explore a relationship with Jesus, find any encouragement or challenge. That aside, it was a good read – with a great conclusion to the mystery at hand. Thank you to Nuts about Books, and Revell, a division of Baker Publishing Group for the opportunity to read this book. I was given a free book in exchange for an honest review. A positive critique was not required. The opinions are my own.